(Updated, Appendix 13, 14, 15) What’s really at stake at this four-day B.C. Supreme Court hearing starting August 25? Actually, it’s the very integrity of Vancouver’s City Hall. The integrity of our municipal government. 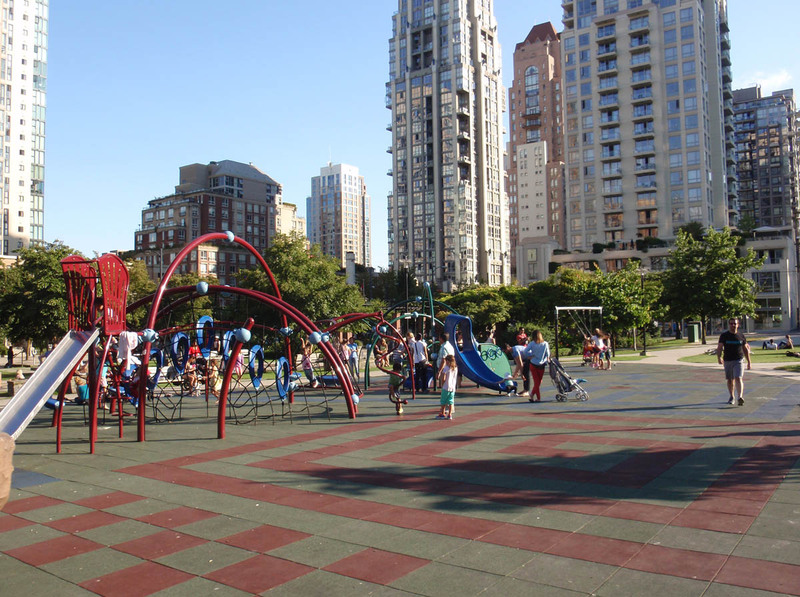 This lawsuit, launched by the Community Association of New Yaletown (CANY) is one of the most troubling of several legal battles (see list – valid as of Aug 2014) launched by citizens against the City of Vancouver. Ultimately, CANY aims to reverse a secret deal to swap public land (508 Helmcken) for a lot that was owned by Brenhill Developments (1099 Richards), cancel the Council’s rezoning approval for a 36-storey tower (508 Helmcken), and force the City to honour its promise to expand Emery Barnes Park (508 Helmcken). Those words articulate the “social contract” between City Hall and society. Reviewing this case, it appears that all of these points may have been systematically and intentionally violated. If so, is this an isolated case? Or is it the tip of the iceberg? Is this kind of behaviour systemic at Vancouver City Hall? A deal between City Hall and a developer appears to have been made in secret, making a mockery of our municipal government’s consultation and public hearing processes. This would be a violation of trust, a violation of the social contract. It appears that action by City staff and Council in advance of public hearings are fettering future Council decisions. This is not permitted by legislation. It appears the City is effectively selling land without public tender. This is not permitted. It appears the City is, in essence, selling zoning. This is not permitted. The rezoning approval gives the developer hundreds of millions in development potential, but the neighbourhood gets little in return. Not a single unit of additional social housing is being created by this “innovative” development. In fact, negative impacts on the neighbourhood are considerable: It is being cheated of a promised park. Neighbours are losing light, sky, and views of the park, and will be subjected to the negative construction impacts of a huge tower development. Public servants are dragging their feet in providing information to concerned citizens. Our municipal government is using taxpayers’ money to fight against its own citizens. As part of the deal, a private, for-profit, elementary school is set to use the public park for its daily outdoor activities. This is a complex case. For detail, please visit the Community Association of New Yaletown website for media releases, the summary of legal claims, chronology, media coverage, images, and more). Here is our attempt to summarize things based on CANY documents. The main site in question, 508 Helmcken Street, is at the northeast corner of Emery Barnes Park, in the centre of the mixed-income New Yaletown neighbourhood of downtown Vancouver. The City-owned land was at 508 Helmcken [correction], the site of the Jubilee House social housing building. The building was aging, and the City’s plan, after the housing was replaced and building demolished, was to expand the park to occupy the entire city block. The City had even budgeted money for this, and local residents who chose to invest and live in the neighbourhood were counting on this promise to be fulfilled. But the plans secretly and dramatically changed, as detailed in CANY’s chronology of the case of the land swap and rezoning approval. City Council also approved plans for a private school to move into the new building and use the park’s public playground. The tower was approved via a series of breaches of procedural fairness, and in disregard of overwhelming (90%) neighbourhood opposition. Suspecting that City Hall was following improper and unfair procedures, CANY tried but failed numerous times to get more information. When direct requests failed, they inquired using Freedom of Information legislation to make their queries. Eventually, the City released a fraction of the requested documents, but it was enough for CANY to finally have evidence that the City had secretly signed a Land Exchange Contract with a developer and agreed to rezone the land to a specific square footage. The evidence showed that City Council had approved this deal in secret even before its first public open house for the development (see July 16 media release). The documents show that if Council changed anything (such as reducing the square footage by even a tiny amount), the whole deal would fall apart. None of these facts were disclosed at the public hearing on 508 Helmcken. Over 90% of public input to the “public hearing” was opposed to the rezoning. But Council had no room to move. The development was already, in effect, a done deal. So what does this all mean? This case shows that “community engagement,” “consultations” and even Public Hearings under the current regime at City Hall could be a sham in many cases. It undermines trust in our municipal government. Personal and organizational sacrifices of time and energy to get involved in civic decision-making could be a waste of time, if decisions have already been made and even secret contracts signed. Illegal or even criminal activities may be going on behind closed doors. This case also shows how complex some land use deals are — which is a huge obstacle for the public and media to understand and comment on specific developments. It shows how certain individuals and companies may be manipulating the civic system, or at least benefiting excessively from it. CANY’s intensive effort and costly legal struggle also shows how much effort (time, money, expertise) is required of ordinary citizens if they seek to understand a City Council decision and if they seek just treatment, even in the case of just one specific development. If the civic system is not functioning fairly and in good faith, the burden on society is huge. Benefits are focused on a few. Costs are spread out among many. That is the story in a nutshell. Below we have short sections looking at various aspects of this story. 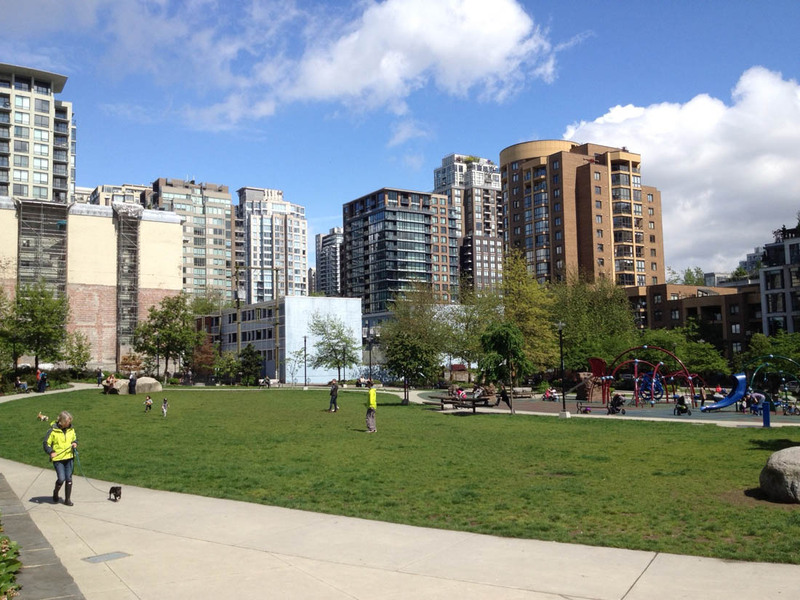 Community Association of New Yaletown (CANY) on July 3 filed an amended petition in BC Supreme Court regarding the land swap and redevelopment of 1099 Richards and 508 Helmcken. Excerpt: The Community Association of New Yaletown (CANY) on July 3 filed an amended petition in BC Supreme Court regarding the land swap and redevelopment of 1099 Richards and 508 Helmcken. New documents recently obtained by CANY show that the City of Vancouver entered into a Land Exchange Contract with the developer months before the rezoning was publicly considered by Council and did not disclose this at the public hearing—a clear violation of procedural fairness. Repeatedly breached its legal duty to procedural fairness. City Refuses to Disclose Documents Requested Under Freedom of Information Act. What is the City Hiding? Excerpt: The FOI request relates to the Community Association of New Yaletown’s quest to stop the developments at 508 Helmcken and 1099 Richards. These buildings were approved by the City over the objections of 90% of area residents, in violation of numerous bylaws and the Vancouver Charter, and through a process that repeatedly breached legal standards of procedural fairness, according to the amended legal Petition filed July 3, 2014 in BC Supreme Court. By email dated March 12, 2013, the City replied regarding the FOI request, advising that it had over “9000 pages of responsive records”. Yet after 3 months of delays past the legal due date, the City released just 85 pages. Of those 85 pages released on May 6, 2014, City officials blanked out a total of roughly 29 pages. “The park is the crown jewel in the heart of the concrete jungle,” said neighbourhood association president Jon Green. “That’ll be ruined forever once a 36-storey tower is built.” Opponents of the Helmcken project say the proposed tower is too tall and too dense and will have a negative impact on the park and neighbourhood. The Urban Design Panel, an advisory panel to City Council, originally rejected the proposal for 508 Helmcken on March 27, 2013. The vote was clear: 0 votes of “support” and 7 “non-support.” Members felt the proposed 36-storey tower on the edge of Emery Barnes Park was simply too imposing on the park and too dense. But then minor changes were made to the plan (very minor changes in height, density, and square footage — all less than 1%). Then, in a highly irregular intervention before the start of the April 24, 2013 meeting of the UDP, the City’s Director of Planning Brian Jackson explained why the project should be supported. The proposal then garnered UDP support with a vote of 5 “support” versus 3 “non-support.” Mr. Jackson’s intervention appears to have been the decisive factor in the change of heart. But the UDP is supposed to be independent and provide advice to City Council. Why did the Director of Planning, hired and employed by City Council, advise this Panel on what it should advise Council? The CANY page (http://www.newyaletown.ca/chronology/) provides extensive detail, including a secret council resolution on October 31, 2012, authorizing the land swap, sale of lanes, and granting of density in excess of current zoning. This chronology of actions by City staff and Council in advance of the public hearings certainly gives the appearance of fettering future Council decisions, selling City land without public tender, and, in essence, selling zoning. And it certainly explains why, at the Council Hearings in July, Council and Staff would not consider reducing the size of the development at 508 Helmcken, despite overwhelming public input calling for a smaller building. They had already agreed with the developer to deliver 365,000 sq. ft. of up-zoned density on the site by July 29, 2013. If they reduced the size even by one square foot, or delayed a decision to explore alternative solutions, the entire deal would fall apart. Perhaps one of the most interesting aspects of this two-building deal is that it was the “Community Amenity” of “social housing” that was the motivation for the City giving an extreme density boost to 508 Helmcken and thereby greatly increasing the value of the land that it swapped to Brenhill. In addition to the straight one-for-one replacement of the social housing units (again, no net increase), the other units at 1099 Richards, once constructed, will be for-profit rental units. The distinctive feature is that they will be very small. These 34 studio apartments (tiny, at only 320 sq. ft.) and 41 one-bedroom units (also tiny, at about 350 sq. ft.) will initially be rented at a so-called “low end of market” rate with a combined average rent of $1,142 per month. On a per-square-foot basis, these rents will actually be quite expensive. And profitable. It’s also rather unclear how even the retention of the same amount of “social housing” can be considered a “Community Amenity” when this amenity is available only to a very small segment of the community. In fact, in a community where over 90% of public input opposed the development. Traditionally, Community Amenities are things like community centres, libraries, parks, etc. In this case, the community is actually losing a planned and promised community amenity (expansion of the park), and not really gaining anything in return. It’s the mystery developer that gains enormous profits from the rezoning of public land, and the City that gains revenue by selling the upzoning and then taxing the increased property value. The community loses almost all around. 7. 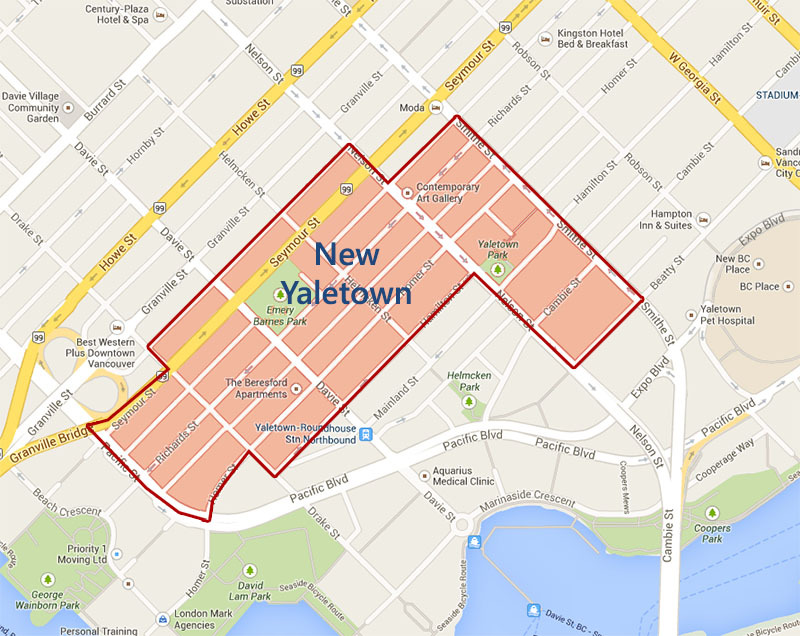 What is New Yaletown? 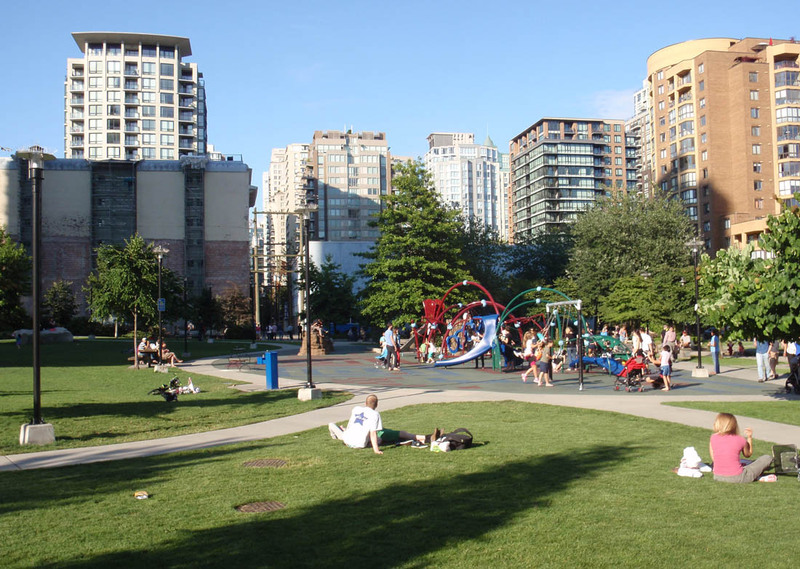 New Yaletown is a distinct neighbourhood, separate from and adjacent to Yaletown. As defined by the City of Vancouver, New Yaletown is bounded north-south by Pacific Blvd. and Smithe St., and east-west by Hamilton St. and Seymour St.
8. Who is the mystery developer, Brenhill Developments? Who owns and runs Brenhill Developments, and why do they have such a great need for secrecy? The site currently shows an animation of the long history of going back to incorporation in 1976 and many development projects in the Metro Vancouver region. But there is no clear indication of any humans behind the business. A quote by “W. Brent Kerr” is featured on the top page, but there is no indication his title or connection to the company. Search the web, and discover that it is nearly impossible to find any information online about Brenhill. That’s about it. So who is hiding behind the corporate veil that our municipal government is so carefully defending? We think this case is so important it should be front page news because if its vast implications about the functioning of City Hall. CANY has sent out several media releases, with limited response from reporters so far. We hope that the public will be able to learn more about this case soon before the August 25 court date. It is important public information. Media coverage has been limited, with two exceptions. The Province and The Straight. deserve praise for these two excellent and factual articles. Land swap proposal addresses needs of city and developer (by Frances Bula, The Globe and Mail, 13-March-2013). In a pitch that neither side has rushed out to advertise widely, Brenhill Development proposed trading its $2-million lot on one side of Helmcken Street in Vancouver’s Downtown South for a larger city lot across the road for $9.5-million…. But all of that depends on the city approving a rezoning on its own land, where the aging three-storey Jubilee House now sits, to a density far higher than anything around it. ...Both he [Director of Planning Brian Jackson] and Mr. Louie said the developer understands that city council, as the regulator for land use, might decide the project cannot be approved. “It doesn’t fetter our ability to make a decision at public hearing time,” Mr. Louie said. Brook Pooni was part of the project team for the rezoning of 508 Helmcken Street and worked on the public consultation, stakeholder engagement, planning strategy and key messaging. The project also included a development permit application for 1079-1099 Richards Street. The Jubilee House social housing building on Helmcken Street has been in a state of disrepair for a number of years and necessary funds for repairs are not available. Having witnessed the decline of the social housing building, Brenhill proposed a land swap with the City of Vancouver which would allow the developer to build a 36 storey mixed-use residential building at 508 Helmcken Street while providing a turn-key 14 storey social and affordable housing building at 1079-1099 Richards Street. The project would not only allow for the replacement of the 87 existing social housing units, but would provide additional units in a building with larger amenity spaces and improved access for those with limited mobility. Brook Pooni was part of the project team for the rezoning of 508 Helmcken Street and worked on public consultation, stakeholder engagement, planning strategy and key messaging. The project also included a development permit application for 1079-1099 Richards Street. Two Public Open Houses were held to introduce the merits of the proposal to the public, one for the mixed-use residential building and one for the social and affordable housing building. The rezoning of 508 Helmcken Street to permit a 36 storey mixed residential building was approved by council on July 23, 2013. The development permit for the social and affordable housing building at 1079-1099 Richards Street was approved on August 12, 2013. One odd aspect of this whole story that deserves further scrutiny is the connection with the January 23, 2014 Public Hearing for Vancouver City Council to approve bylaw changes and amendments to comply with the West End Community Plan (a different neighbourhood entirely). (That Plan itself was approved by City Council in November 2013.) It is somewhat of a mystery how, in the appendix at end of a 90-page document for bylaw changes for the West End neighbourhood, text was inserted to change provisions for New Yaletown. In effect, they remove the requirement for Council’s prior approval of density increases, and remove the requirement that density increases be for social housing. On top of that, the City did not notify the public that these hidden changes would affect the New Yaletown neighbourhood, paving the way for the 508 Helmcken development. See the CANY chronology for reference to this topic. On August 15, 2014, CANY published more findings about what appear to be “funny games” with definitions of social housing and affordability. Excerpt below. Low end of market? Or just another deception? The City of Vancouver has said a benefit of entering into this Land Exchange Contract with Brenhill developments is the increase in social housing. The 1099 Richards building replaces only the 87 units of social housing in the Jubilee House. The remaining 75 units will provide housing to individuals at the “low-end of market rents.” The development application admits that those 75 units will likely host a range of levels of income, yet the application repeatedly and falsely refers to these small apartments to be rented at market rates as “social housing”. Is this a direct attempt to mislead the public that more social housing is being built at the 1099 Richards site (see full analysis on CANY website here). The proposed rents for the new units at 1099 Richards are even more expensive on a cost per square foot than the “for profit affordable rental units” under the Rental 100 program. These new tiny units at 1099 Richards will likely be very, very profitable. 14. Is 1099 Richards “social housing”? Or not? We have word that Brenhill paid $1,500,000 in Development Cost Charges (DCCs) on the project at 1099 Richards. But DCCs are not payable on social housing projects, pursuant to the Vancouver Charter 523D(10). So if 1099 Richards is “social housing,” the City should have no authority to accept DCCs. If 1099 is for “social housing,” why impose DCCs? This is another point to put the spotlight on. The City’s response on this will be interesting. 15. Who will own the new 13-storey 1099 Richards once built? Who will manage it? Jubilee House is located at 508 Helmcken Street (at Richards Street), one of 3 buildings managed by the 127 Society for Housing. It is operated under Agreement with Canada Mortgage and Housing Corporation. Jubilee House opened it’s doors on June 15, 1986. It is a 4 storey wood frame elevatored apartment building, with 82 Bachelor Suites for singles and 5 One-Bedroom Suites for couples. The 127 Society for Housing was formed in 1981 and is a registered charity. Its purpose is to provide safe, affordable housing for low-income and/or seniors and/or individuals with disabilities and assist them with their personal and social needs through the Community Worker Program. This Program is supported in part by the Anglican Church – the Diocese of New Westminster and Christ Church Cathedral. Excellent video but the text moved by much too quickly to allow us to read and let it sink in. Thanks Maureen. See also the link just above the video for a slower version with no music. We will try adjust the main video too, to slow it down. There are also more details on http://www.newyaletown.ca/location/ , the website for the Community Association of New Yaletown.